My today’s post is dedicated to my beloved parents for I am what I am today because of them! As how it is difficult to distinguish spirituality from our daily routines, it is as well difficult to mark when exactly we begin our introspection on this subject. Theoretically, it dates back to the year 2002 when I joined as a member of Yogada satsanga Society of India. I felt Sri Sri Paramahansa Yogananda’s divine grace through his Autobiography of a Yogi. His teachings and writings conveyed that through Kriya yoga one is sure to be led towards the path of truth as it is scientifically proved as well. Though he is not in his physical form now, he has been my silent Guru from then. In spite of carrying life’s burdens and difficulties, I developed a great discipline for regular and sincere spiritual practices then. So was the impression of his teachings and lessons. However, maya did not let me continue for long. I was once again blinded by the three-fold sufferings (Physical, mental and spiritual) and my practices withered away with the wind. My earthly duties kept me occupied day and night. Probably it was Guruji’s plan to make me understand the values of Karma yoga. Well, however I kept dwelling on God and did practices whenever possible. Now that I have fulfilled my most duties, I am here again to start my spiritual journey. In the last one and a half years, I prepared myself once again to walk through the divine path. And today, I feel honoured to have received my Kriya initiation (Kriya diksha). I bow down to God, my Guru, my Paramgurus and seek their blessings and guidance on this saintly day. What joy and contentment in that once again my soul is marching towards the path of eternity! Compassion toward all beings (daya) is necessary for divine realization, for God Himself is overflowing with this quality. Those with a tender heart can put themselves in the place of others, feel their suffering, and try to allievate it. Whether the highest Being is called Vishnu, Shiva, Brahma or Indra, Sun or Moon, Buddha or Mahavira, I always offer my salutations to Him alone who is free from attachment and hatred, worldliness and ignorance, who is endowed with compassion toward all creatures and is possessed of all noble attributes. By studying the character of others, one can become alert to ways in which he can improve his own nature. To study character in a negative way, however, is not right, and has a devastating effect. Everyone shuns a “character detective,” who exposes others’ faults. Many people who enjoy criticizing cannot themselves stand criticism, and may even have the same flaws they so righteously deplore in another. Character study is important primarily in this respect: one needs constantly to take note of virtues in others and to implant those good traits in himself. Jesus said: “Judge not, that ye be not judged.” He condemned that criticism of others which is done solely out of desire to hurt. Such behavior is unkind and spoils friendship. Criticism has no use whatsoever unless it is given with sincere love, and only when wanted. It should be offered with a loving desire to help the other person.Those who have learned self control have the right to help others. From that point of view character study is worthwhile. One type of character is based on physiognomy. It is said that the salient characteristics of man are revealed in his body—- a very sweeping statement. Not all one’s physiological characteristics do tell the real tale of the inner life. Aristotle studied physiognomy as a guide to character. Hindu teachers go deeper. They say that the main thoughts of all one’s incarnations are reflected in the eyes. Though the eyes reveal the whole story of the soul, not only of this life but of past lives, still it requires a master’s mind to analyze the revelation of your past lives reflected in this life. Once in a while you are walking along and suddenly notice something in the eyes of a passer by, and you think, ” I don’t like him,” or as” I like him.”Eyes tell the whole story. Fear, anger, jealousy, greed, generosity, love, courage, spirituality—–all these qualities, good and bad, cause corresponding reflections in the eyes. Facial and bodily features have been studied, even the bumps on the head have been analyzed, but physical appearance does not always tell the story. No two faces are the same. Each is different because of characteristics that have manifested themselves in this life and in past lives. So it is not a matter of simply judging people as bad or good because their present looks are repellent or pleasing. St. Francis was not physically attractive, whereas his disciple Brother Masseus was a handsome man. But Masseus did not possess as great a spiritual beauty as St. Francis. You can analyze people more surely according to their feeling than to their physical appearance. Though an interesting study of character is possible through analysis of the eyes, the emotions, and the physical features, as has been pointed out, the greatest and highest way to learn about character is through soul intuition. If your mind and feeling remain perfectly calm, you will be able to feel intuitively and exactly the nature of each person you meet. As a mirror reflects all things held before it, so when your mind- mirror is calm, you will be able to see reflected in it the true quality of others. If you are busy doing good to all, remaining calm and meditative, the true character of whoever comes to you will be revealed to you. According to Sri Aurobindo, India is the Divine Mother incarnate among the nations world. India’s soul purpose as a nation is to serve as the spiritual guide and guru of nations to lead humanity forward in to a truly planetary age. If any nation can lead the world spiritually, it is probably India, which has never lost its ancient spiritual and yogic roots. The fire of consciousness is best known in yogic thought as the Kundalini or the “Serpent fire,” said to be coiled like a serpent at the base of the spine. Kundalini represents a very subtle yet extremely powerful bioelectrical force, with lightening- like action to unfold higher states of consciousness and perception. It is said to be composed of primal sound and mantra that constitute the energy of consciousness. It contains the secret evolutionary power of nature within us, motivating us towards a higher consciousness and Self-realization. According to great yogis, the Kundalini is the root energy of the soul and carries its power. It is the ultimate transformative power of the soul’s fire.When the Kundalini awakens, it rises through the spine and opens the seven chakras that are the seats of higher consciousness placed along it. Once it reaches the head or crown chakra, our consciousness is liberated from time and space and we realize the universal self becoming one with the cosmic being or or infinite light. Kundalini is the fire of soul that is the basis of all evolutionary transformations. Its yogic awakening helps unfold our species’ potential to realize God. The real or inner fire ceremony is the uniting of life with the greater Life, by practice of pranayama or Kriya Yoga, the technique of life control. 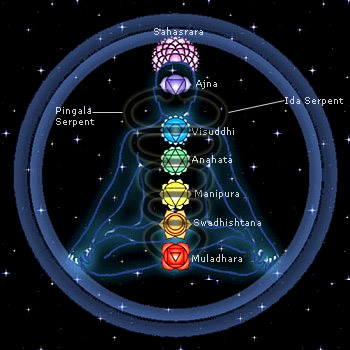 When in the astral fire-rite the pranic current withdraws in to the subtle centres of the spine and brain, then instead of wasting its energies in reforming matter- bound cells, the freed reinforced prana awakens those cells with divine life by babtizing them with the light of spirit. Yogananda himself mentioned the need for India and the Unites States to come together for the future evolution of humanity. He saw the combination of the yogic spirituality of India with the scientific humanism of America as the two complementary powers necessary to lead civilization forward to its higher purpose. Much of his work in America was aimed in that direction. Babaji — the supreme guru behind Kriya Yoga tradition —- who was said to have achieved physical immortality through its practice, is perhaps the ultimate guide for this planetary transformation needed today. He may be one of the old Vedic Rishis who has remained with us through the centuries, as many Rishis, particularly Vasishta and Agastya, were not only great Yogis but the very founders of the Yoga tradition. When individuals come together for inner practices whether physically or mentally— they can generate a power that grows geometrically according to the degree to which their are attuned and unified.They can create a powerful psychic energy in the collective mind that can neutralize even the darkest Karmas that haunt our species. This is the purpose of satsangas or gatherings of spiritualseekers in the name of or in the presence of the guru. The call of the sacred fire takes us to spiritual practice, meditation, or Yoga in one form or another. We must strive to transform our planet in to a harmonious world that appears like a jewel of love in the greater universe of light. This higher spiritual evolution is our true future as a species. Not the cessation of the personal existence. You may or may not believe in the law of reincarnation; but if this life is the beginning and the end of human existence, it is impossible to reconcile the inequalities of life with a divine justice. According to the law of cause and effect, every action creates a commensurate reaction. Therefore whatever is happening to us now must be a result of something we have done previously. We may understand , too, how the perfect life of Jesus on earth was the result of several previous incarnations in which he had developed self-mastery. His miraculous life as Christ was the result of many past lives of spiritual schooling. He became an Avatar, a divine incarnation, because in previous lives as an ordinary human being he fought the temptations of the flesh and conquered. His example gives the rest of the mankind definite hope. One who is liberated as Jesus is, becomes one with Spirit. Yet he retains his individuality; for once God has created a human being, He keeps in His consciousness a permanent record of that creation. Jesus as an individual personality can reincarnate in two ways: in vision and in the flesh. If you have great devotion you can see him inwardly exactly as he appeared when he lived on earth. A number of saints have thus beheld him and have relived with him various events of his life. Jesus can reincarnate again at any time, in the physical body or in the inner light, according to your devotion and power of concentration. So let us all pray to Jesus on this auspicious day and let us all get his blessings for our better life!!! Let us chant cloud coloured Christ come!!! Oh my cloud coloured Christ come!!! Oh my Christ, Oh my Christ, Oh my Christ, Oh my Christ!!! 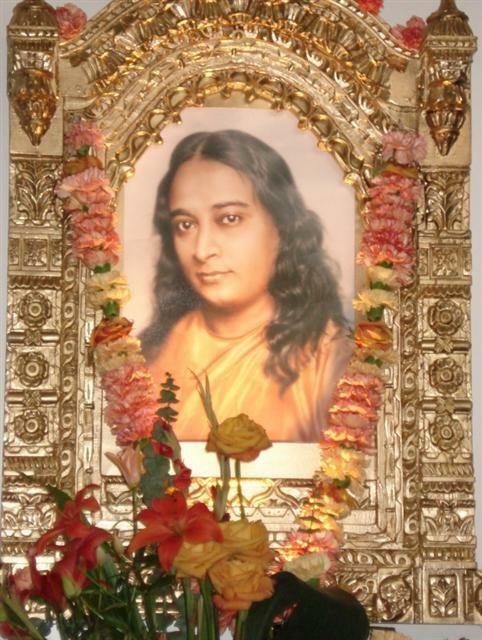 My today’s blog post is dedicated to my beloved guruji Sri Paramahansa Yogananda who attained mahasamadhi today!!! Sri Sri ParamahansaYogananda entered mahasamadhi ( a yogi’s final conscious exit from the body) in Los Angeles, California, on March 7, 1952, after concluding his speech at a banquet held in honour of H. E. Binay R. Sen, Ambassador of India. 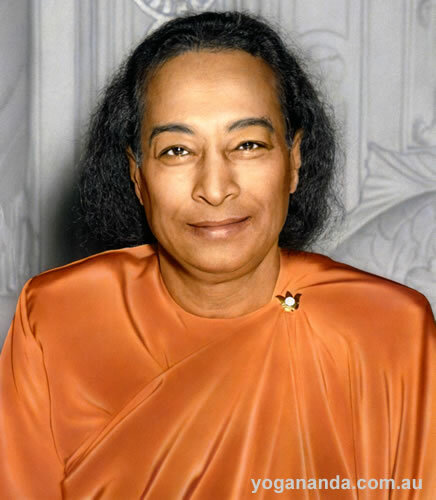 Paramahansa Yogananda was the first great master of India to live in the West for an extended period— thirty two years, until his mahasamadhi in 1952. The great world teacher demonstrated the value of yoga (Scientific techniques for God-Realization) not only in life but in death.Weeks after his departure his unchanged face shone with the divine lustre of incorruptibility. The absence of any visual signs of decay in the dead body of Paramahansa Yogananda offers the most extraordinary case in our experience….. No physical disintegration was visible in his body even twenty days after death…….. No indication of mold was visible on his skin, and no visible desiccation (drying up) took place in the bodily tissues. This state of perfect preservation of a body is, so far as we know from mortuary annals, an unparralleled one…. At the time of receiving Yogananda’s body , the mortuary personnel expected to observe, through the glass lid of the casket, the usual progressive signs of bodily decay. Our astonishment increased as day followed day without bringing any visible change in the body under observation.Yogananda’s body was apparently in a phenomenal state of immutability…..
Let us pay homage to our beloved Guruji Sri Paramahansa Yogananda on his mahasamadhi day and let us get his blessings which lead all of us to the path of truth!!! Jai Guru!! !